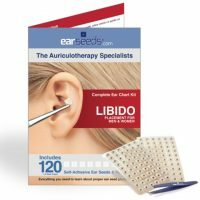 The customized chart we created for this kit teaches you the ear points used to curb cravings and stimulate healthy digestion support. Also includes optional points for individual-specific concerns, such as mood eating or water retention. Please Note: Seeds contain latex. 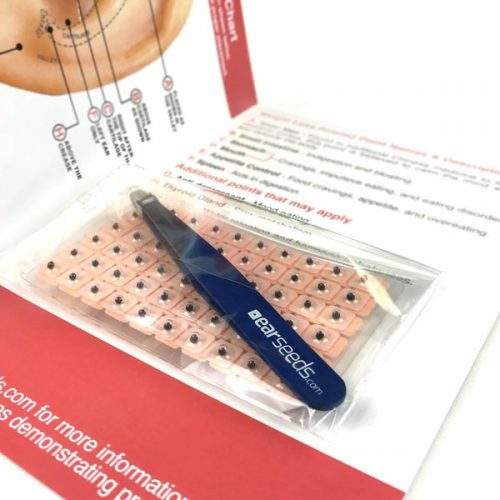 Those with latex sensitivities should include clear tape or Crystal EarSeeds to use on the points in this kit. 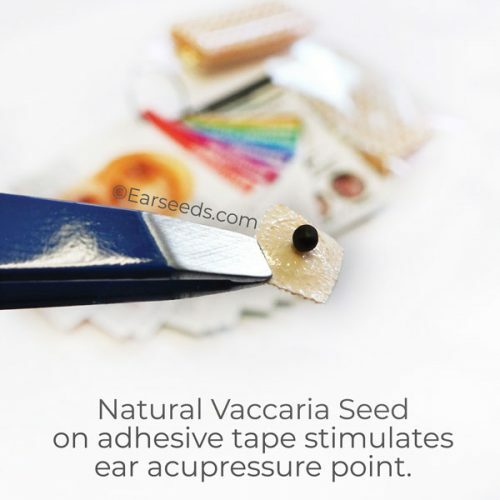 Small seeds from the Vaccaria plant are secured on the ear with a piece of adhesive tape over specific acupuncture points. The seeds stimulate the point by exerting mild pressure. 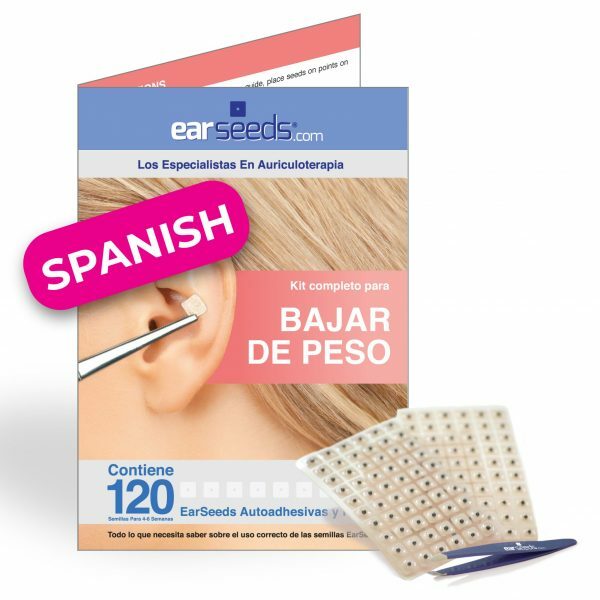 Long Lasting – Our EarSeeds stay in place 3-5 days, even with showering, swimming and active lifestyle activities. One kit has enough seeds to last 4-6 weeks. Our charts + instructions are clear and easy-to-follow, and our high-quality tweezers make application fool-proof. 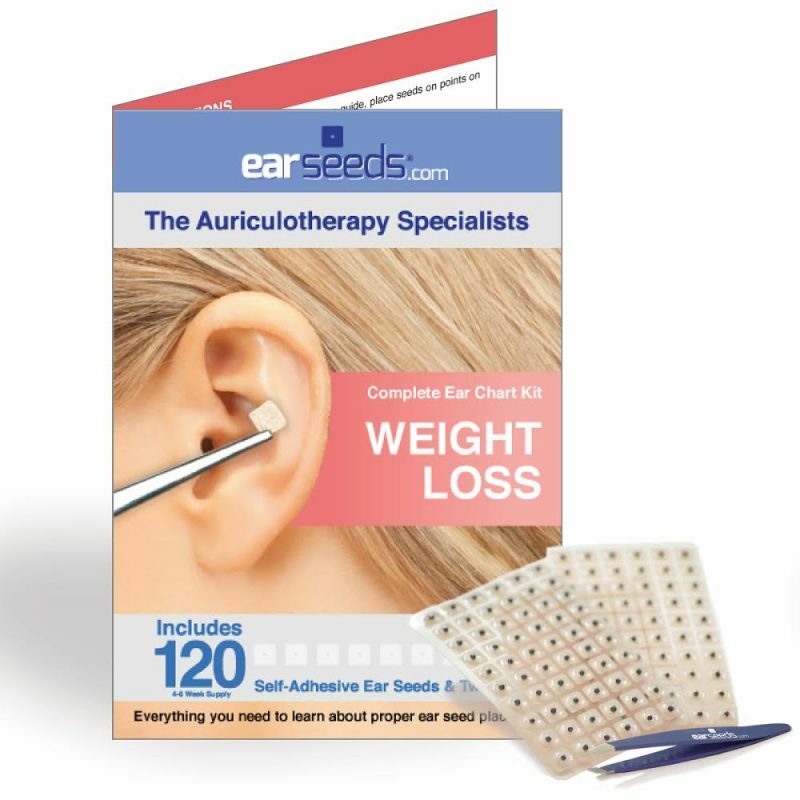 Professionally Created – This weight loss ear-point protocol chart was created by Auriculotherapy expert, Elie Goldschmidt, L.Ac. 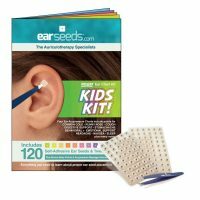 Unless otherwise noted, EarSeeds should be placed on both ears. In Canada? Get them here. In Europe? Get them here. Recent scientific studies have shown that ear treatment is a powerful and effective way to help you lose weight! 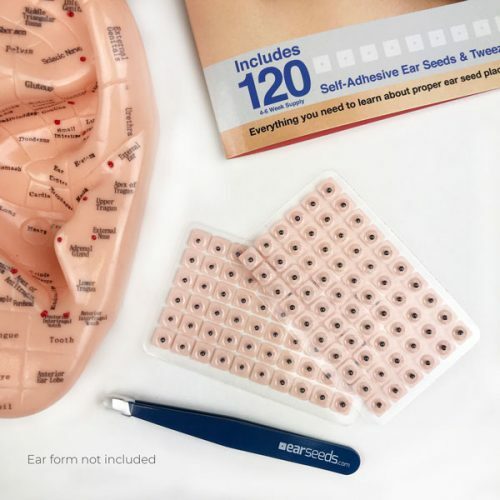 A 2011 study concluded that “Auricular acupressure is thus a reasonable option in the treatment of overweight and obesity in young adults.” -Am J Chin Med. 2011;39(3):433-40. 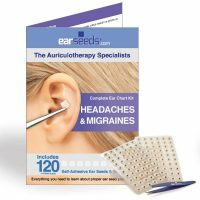 A 2010 study concluded that “auricular acupressure employing vaccaria seeds can decrease body mass index (BMI)” -Am J Chin Med. 2010;38(4):675-82. A 2009 study concluded that “Auricular acupuncture may have potential benefit on obesity-related hormone peptides.” -J Womens Health (Larchmt). 2009 Jun;18(6):813-8. doi: 10.1089/jwh.2008.1005. A 1998 study said “We conclude that the ear-clips were effective in delaying gastric peristalsis, and may have value in reducing appetite in association with weight loss programs” -J Altern Complement Med. 1998 Winter;4(4):399-403. 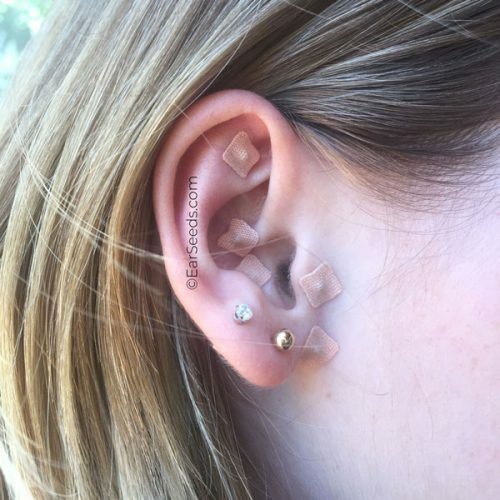 Another 1998 study concluded that “Frequent stimulation of specific auricular acupuncture points is an effective method of appetite suppression which leads to weight loss” -Aust Fam Physician. 1998 Jul;27 Suppl 2:S73-7.